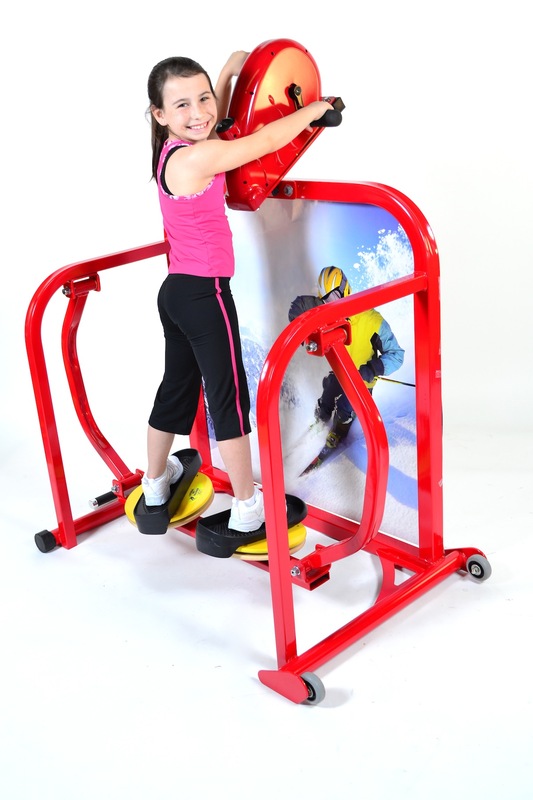 The elementary skier is designed as a cardiovascular and core balance exercise station specifically for youth fitness. This Unique movement exercises the quadriceps, triceps, deltoids, trapezius, external obliques, and entire range of central core muscles including the transversus abdominis, back and pelvis. This unit provides balance training as well as complete cardiovascular and/or fat burning workout. The Deluxe skier has been kid-voted the most fun peice of fitness equipment in the room! It includes a kid friendly computer that reads calories, speed, time, and distance. Adjustable floor levelers compensate for uneven floors. No external power required.